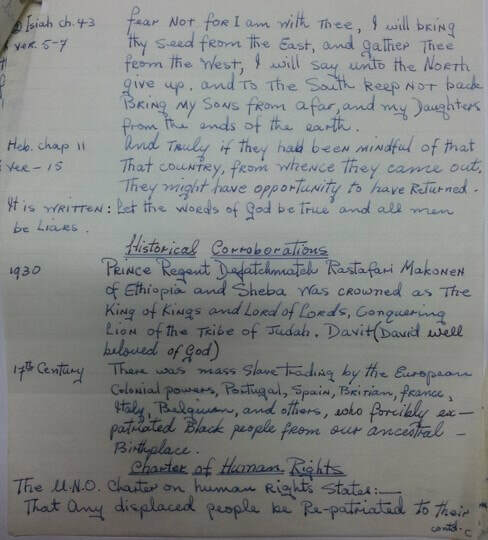 One year before Jamaican independence, Norman Manley, the Premier at the time, organized a "fact-finding mission" to scope out the practicalities of repatriation. The mission was in good part a response to attempts by various Rastafari to correct the maligned views of their movement which were widely shared across Jamaican society. The mission was composed of officials as well as three notable Rastafari individuals: Mortimer Planno, Douglas Mack, and Fillmore Alvaranga. The sojourners travelled across the continent, including a visit to Ethiopia. 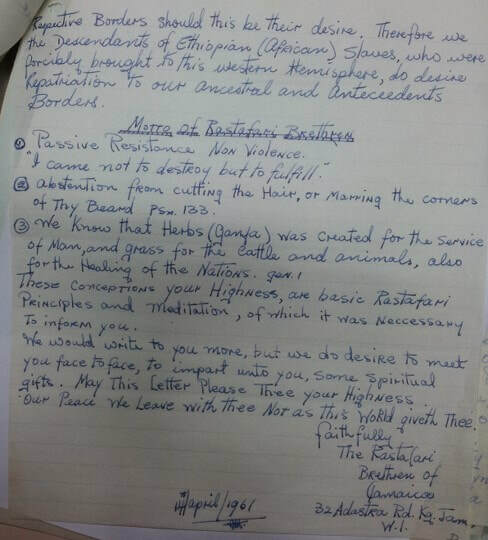 En route to the continent, in April 1961, the brethren passed through London and there wrote a letter to Queen Elizabeth II, from Notting Hill. The letter reveals a diplomatic attempt on the brethren's behalf to educate the Queen about their pursuit of African redemption.